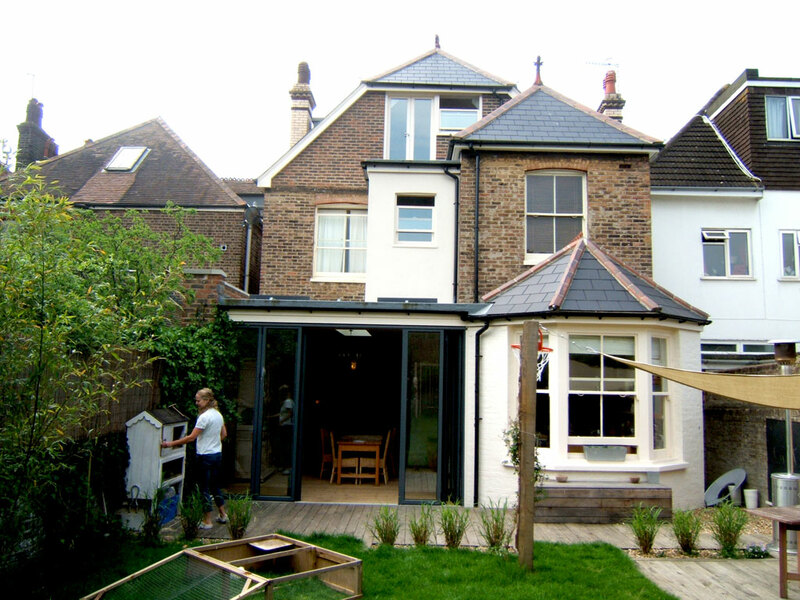 Work carried out: Extensive refurbishment with extensions at Ground, First and Second Floor levels. 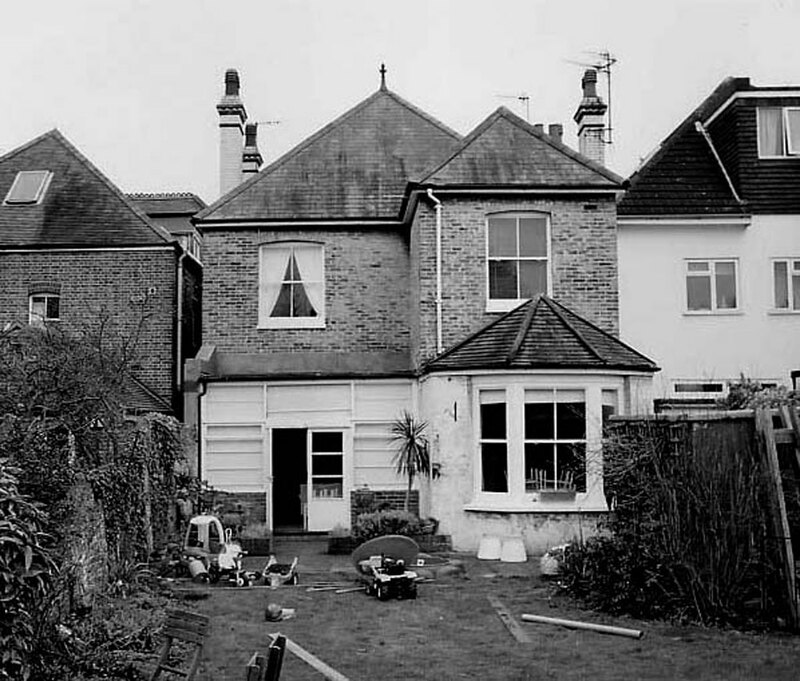 The property is located in an area closer to Hove Station amongst other properties of a similar size and high value. The home had to function effectively as a family home and as a place where each could work. They had a strong aesthetic instinct. The whole house was in need of updating in all respects. 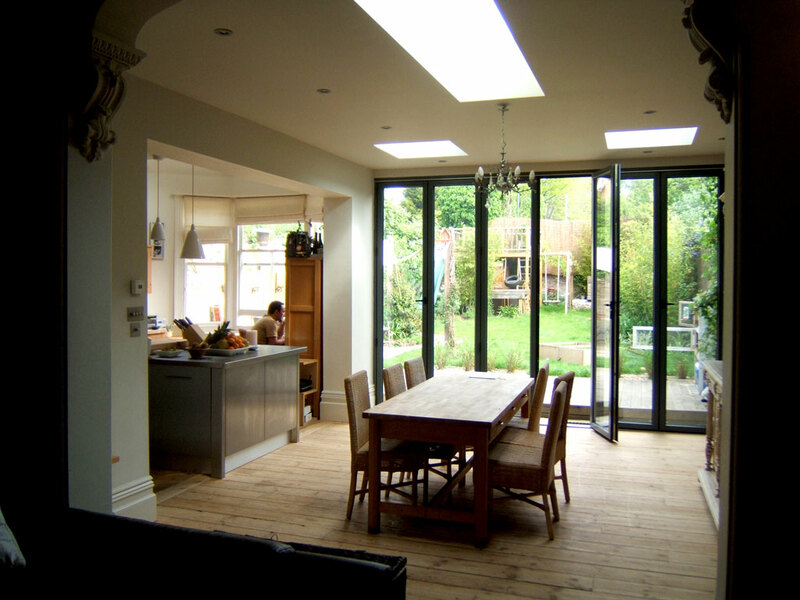 The Kitchen was not connected to the Dining Area and so an extension into the rear space was an obvious way to resolve that. 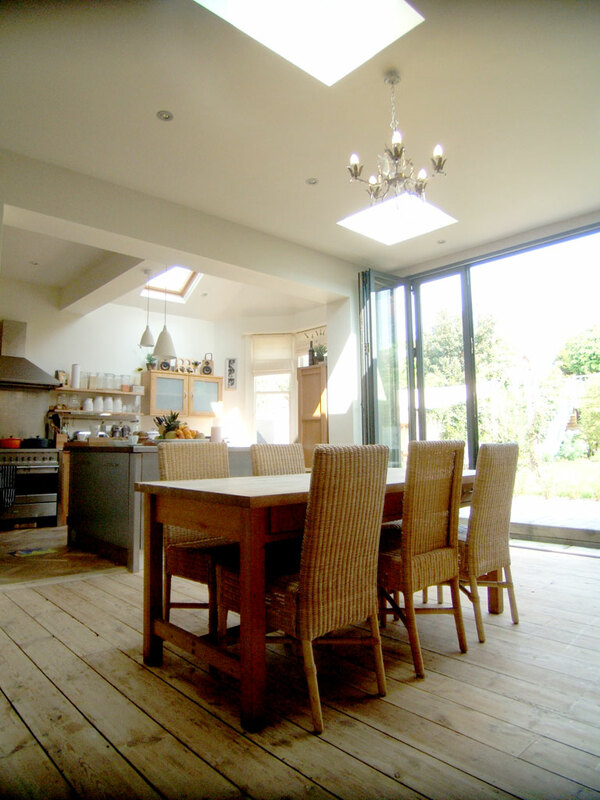 We maximised the light as it was North facing by getting concertina glazed doors at extra height and by including a series of rooflights. A Utility space was formed with an adjacent Ground Floor Bathroom. At First Floor Level we added an En-Suite Bathroom which also formed the base of a terrace at Second Floor Level. The Second Floor had access from the main stairs already to a front Bedroom space and a rear Loft. 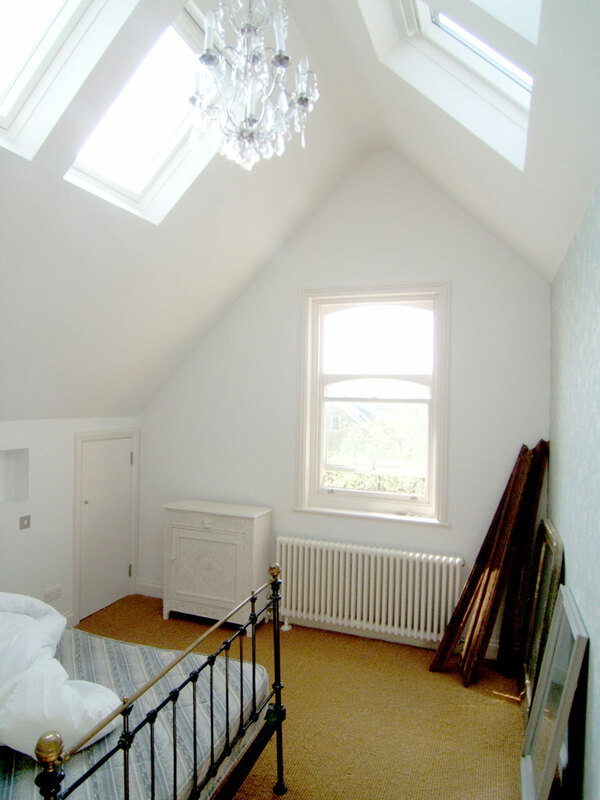 The Front Bedroom became the new Master Bedroom suite with a side facing dormer and the converted room at the rear became a Home Office and Exercise space. One special sub-project was to design a special front door which would suit the simple arch headed brick opening. It had to look elegant and traditional with a modern twist. It had to let light into the Hallway but not compromise the client’s privacy. The design includes an arch headed door with bevelled glass panels with the central portions obscured.